Merseyside Maritime Museum is looking for former seafarers who were on a stranded ship on the Suez Canal between June 1967 and June 1975 to attend a special 50th anniversary reunion at Merseyside Maritime Museum on Thursday 1 June 2017. 14 merchant ships were stranded in the Great Bitter Lake in the Suez Canal at the start of the Six-Day War between Israel and Egypt in 1967. They were trapped there for eight years until Egypt reopened the canal in 1975. 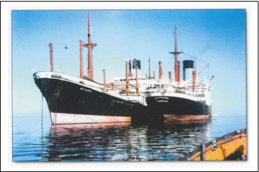 Four of the ships were British flagged, including three from Liverpool shipping lines: MS Melampus and MS Agapenor from Blue Funnel Line, and MS Scottish Star from Blue Star Line. The fourth British ship was MS Port Invercargill of the London-based Port Line. 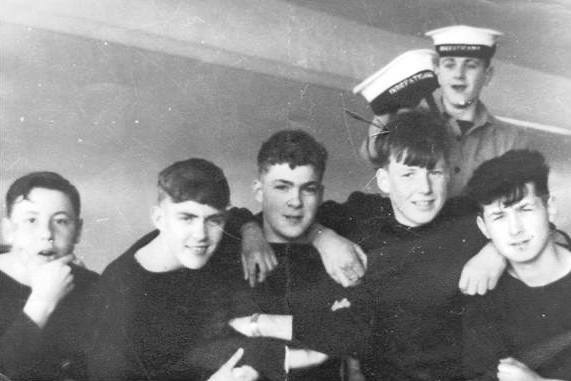 Though the original trapped crews were replaced after a couple of months, over the years around 3,000 seafarers served on the ships, helping to maintain them and their precious cargos, right in the middle of a war zone. The period was the height of the Cold War, the ships may have come from both sides of the Iron Curtain, but as Ben Whittaker, Curator of Maritime History and Technology explains, it didn’t stop them forming their own ‘United Nations’. “The ships were going nowhere, over time camaraderie grew between the crews irrespective of their country of origin. Inspired by the part of the Suez Canal they were stuck in, they established what was to become a unique community; the Great Bitter Lake Association”. “They shared supplies and equipment, as well as created a full programme of sports fixtures and other social activities. The seafarers even produced their own hand-made stamps, which are now sought after collectors’ items”. The move to appeal for ex-crew was inspired by author Cath Senker, whose forthcoming book on the subject features material from the Blue Funnel Line Archive which is held at the Museum, as well as images of objects from the museum collections related to the Great Bitter Lake Association. These include a commemorative plate and home-made trophies that were awarded to the winners of the competitions held on board the ships during the 8 year long saga. Ben says; “We want former crew to get in touch and join us on 1 June to share their stories and reminisce. Many members remember their time in the Suez Canal as one of the most significant of their entire lives. Through the internet, many of them have now renewed contact with each other, and interest in this unusual story has been revived. With Liverpool ships and men part of the story, Merseyside Maritime Museum is the right place to hold the reunion”. If you or a family member were on one of the stranded ships on the Great Bitter Lake during the Six Day War and want to share your story and be part of the reunion, contact Ben Whittaker. Telephone 0151 478 4401 or email <ben.whittaker@liverpoolmuseums.org.uk>.